Louis Boldrighini was named Director of Percussion for Manvel High School in 2011. He also serves as percussion specialist for Rodeo Palms Junior High and Nolan Ryan Junior High in the Manvel High School cluster. 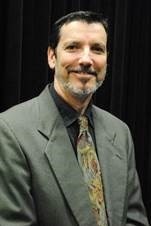 Prior to his appointment, Mr. Boldrighini served as Director of Percussion for Dulles High School in Fort Bend ISD. Mr. Boldrighini, a native of Boston, MA, earned his Bachelors of Music Education at the University of Massachusetts where he studied with Thom Hannum, Peter Tanner, and William Hanley. His teaching career began at North Hampton High School in North Hampton, MA in 1987. In 1988 he moved to Texas to pursue graduate work at Texas Tech University with Allen Shinn and later at the University of Houston with Marvin Sparks. During his twenty seven years of teaching in Texas, Mr. Boldrighini has had the opportunity to work with numerous successful programs, including, Westfield High School, Jersey Village High School, Richland High School, Clear Lake, Angleton, and McCamey High School. Before he began his teaching career, Mr. Boldrighini launched his performing career by joining the Defenders Drum and Bugle Corps in 1981. In 1984 he joined the Garfield Cadets, earning himself two World Champion titles. Mr. Boldrighini has had the fortune of serving on staff for several Drum and Bugle Corps, including the Garfield Cadets (1986-1987), the Troopers (1987-1990), and the Sky Riders (1990-1991), earning the World Champion title and High Percussion Award with Garfield Cadets in 1987. He is an active musician and performer in the Houston area. He has performed alongside such musicians as Joe Gallardo, Randy Brecker, and Paquito D’Rivera in big band and jazz orchestra settings. He was also a member of the NFL Texans Drumline, and local Houston groups Clouseaux, Shapeshifters, and Tigh’n Up. While at Manvel High School, students under his tutelage have earned TMEA All Region and All State Bands, Region and Area Jazz Bands, and Region Orchestras. Manvel High School Percussion Ensemble was selected to perform at the 2015 Midwest International Band and Orchestra Conference. His percussion ensemble was also selected for the 2015 Mark of Excellence National Chamber Ensemble. He also helped lead the Nolan Ryan Junior High band to TMEA Honor Band Finalist and Mark of Excellence National Band Award. He is an active member of TMEA, TBA, and PAS. Mr. Boldrighini lives in Pearland, TX with his wife Susan, their daughter Kyra and son Dylan, and their beloved dog, Mardy.